I am so sorry for your loss. Aviva was such a caring, involved mother; I know she will be greatly missed. I've been thinking of your whole family during this difficult time and will continue to keep you all in my thoughts. As a professional colleague who served with Aviva on the American Academy of Pediatrics' Committee on Bioethics, I wanted to express my condolences to her family. In talking with her, even in this professional setting, her love for you was very evident. I only met Aviva once, last month, when she came to introduce herself to me a few months after my arrival in Pittsburgh and in a new role at UPMC. We had a deeply meaningful conversation- ranging from many topics, including ehthics, work, having same-aged children, and some of her medical journey as a patient. I was dismayed to hear the news of her passing. This is such a loss for your family, the medical community and patients. May you be comforted among the mourners of Zion, and may you always feel her inside you. Aviva Katz was a heroine and a superstar and I cannot believe she's gone. Aviva was working on her MA in Bioethics at the same time I was pursuing mine, and she was a mentor and source of support to me. In the past few months I had the honor to work with her on a project for the Pitt Human Research Protection Office, and her wisdom and common sense was instructive and an inspiration. Only weeks out of hospital, she graciously offered to review and constructively critique a paper I'm working on. Her generosity, humanity, humor and compassion was a beacon and an inspiration. The world has lost a shining light. May her memory be a blessing. For me, it already is. Our prayers are with your family as we are heartbroken at your loss. We loved watching Aviva skate during the early morning sessions, and of course, love our friends, Channah & Shoshana. The RMU figure skating family will not be the same without Aviva's zest for life and love for skating. Even though Aviva, in being Daniel's wife, is family to we who are living here in Israel, we only merited to meet her briefly when she visited Gabe a few months ago. Since she was already in our prayers from the onset, her visibly good health was encouraging. We know now that it wasn't meant to be. While we share the sadness and loss we are also envious...envious of those did know her personally and who were touched by her and her life's work. Her life had purpose and fulfillment, and over time it's that which she brought into this world which will bring us consolation and comfort...and even bring us blessing in knowing that we were a part of her life. Aviva, the person, may no longer be with us, but the caring and giving that she was remains with us, and, as such, her caring and giving is not 'was' but 'is'. May her name and memory always be a blessing. I was so sorry and sad to learn of Aviva's passing. My heart breaks for her family, friends, and loved ones. I so enjoyed seeing Aviva at the ice rink and on the ice. She had such a presence and kindness. So many facets to her life- so much talent and compassion. Tremendous loss. My prayers and deepest condolences for the family and to everyone feeling this loss. My condolences to the entire family on your loss. I am so sorry and sad, and thinking of all of you. May your good memories help you at this difficult time and in the future. No words truly Daniel. Aviva has left you a beautiful legacy. I am a general surgeon and ethicist who trained under Aviva and worked along side her after my faculty appointment. I had not heard of her illness, and was sadened to learn of her relapse and death. I knew her to be a kind and caring colleague who shared may of my own values and passions. I will miss her personally, and the ethics and surgical communities of Pittsburgh are impoverished for her absence. I will pray for both Aviva and your family in this time of bereavement. Dr. Katz was one of the most compassionate pediatric scholars and practitioners I have had the opportunity to know. I wish we had more time to work together in promoting ethical practices in modern medicine. She will undoubtedly be missed. My prayers for the family. I am so very sorry to hear of this loss of a wonderful mother, wife and compassionate physician. Our prayers are with the family. Dr. Weiner and family - my sincerest condolences to you at the loss of Dr. Katz. My heart goes out to you and your children - she was such a wonderful person, and I heard her speak often of them. She will be sorely missed here at Children's. My deepest sympathies are with your whole family. You are all wonderful people and I couldn't be prouder to play small role in your life. Please let me know if there is anything that I can do to support you through this difficult time. You all will be in my thoughts and prayers. My deepest and most heart-felt sympathies for your loss. Words cannot account for this sadness. The Weiner family will be in my families prayers. God bless. 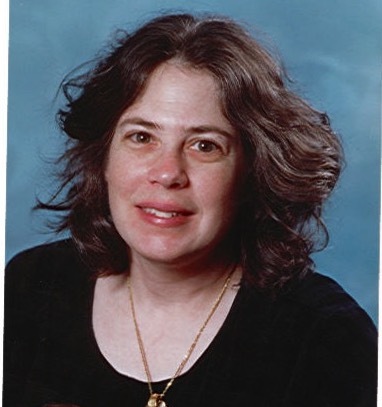 Daniel and family - The Kaplan family is overwhelmed with sadness over Aviva’s passing. Our thoughts and prayers are with you today and always. The world was and is a better place because of Aviva. May her memory be for a blessing. Sending you love. We are deeply saddened by the news of Aviva's passing. Our thoughts are with your family. My heartfelt condolences for your family's loss. You are in my thoughts and prayers during this difficult time. My thoughts and prayers are with you. May God give you peace as you go through these trying times. Dear Weiner Family, I am so saddened to hear the news about your beloved wife and mother. My prayers are with all of you at this sad time. She was a truly remarkable woman, professionally and as a person. She will be missed by all. My deepest sympathies. Dr. Katz was an amazing person and will be greatly missed. She did so much good work!